I just realized I never finished this post. I started it but got busy and forgot to come back … So, it’s a little late and Presidents Day was actually last month, but oh well! We just finished a small project that we’ve been working on for a couple of weeks. 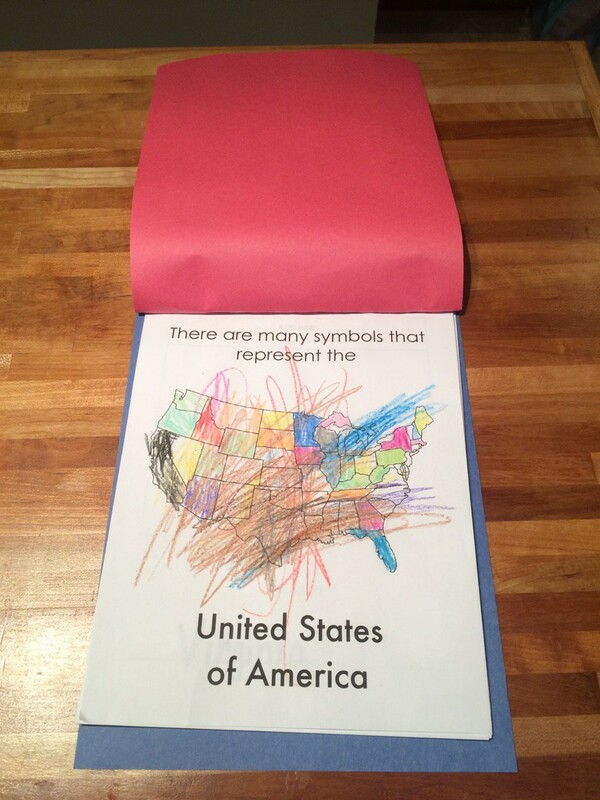 With Presidents Day being last week, I thought it would be fun to focus on some of the American symbols. 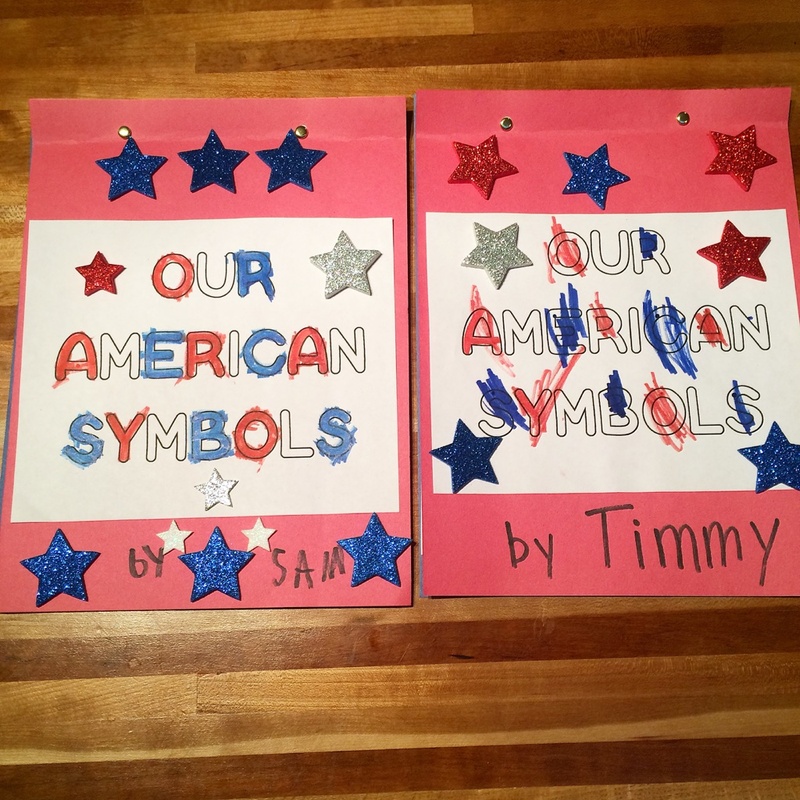 It was a fun introduction to U.S. History for Sam, and Timmy just enjoyed being a part of it all. 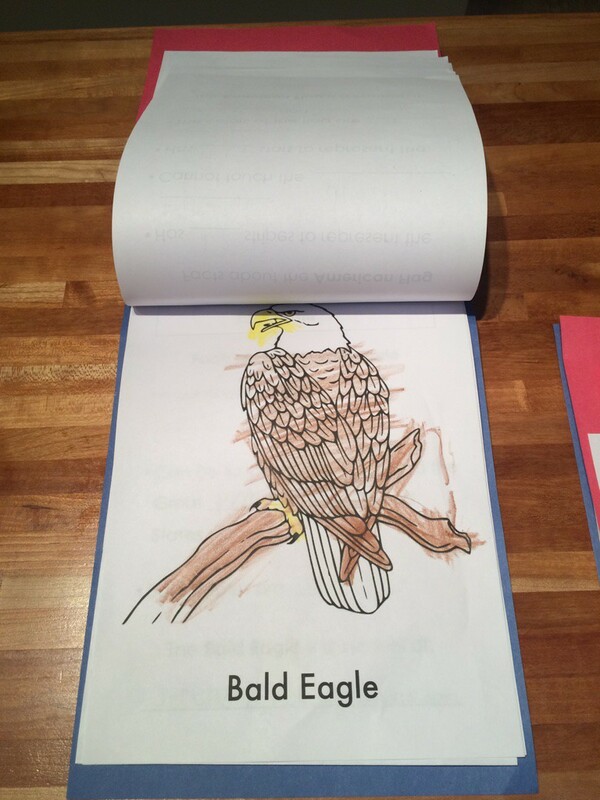 I created the worksheets for us with the idea that we’d compile it all into a book at the end. I thought they turned out really cute, and we are all very proud of them. 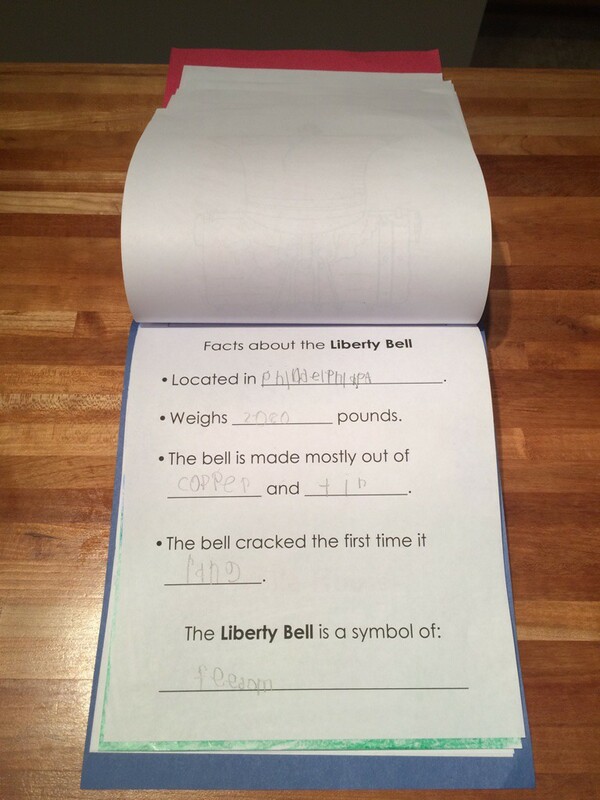 So, each day we read a non-fiction book, or we just did a search on the Internet for some basic facts if our library didn’t have any books on the symbol. I was disappointed that I couldn’t find a book for each symbol, but it was a hidden gift because it was also a good introduction to the Internet and doing research. Silver lining, right? 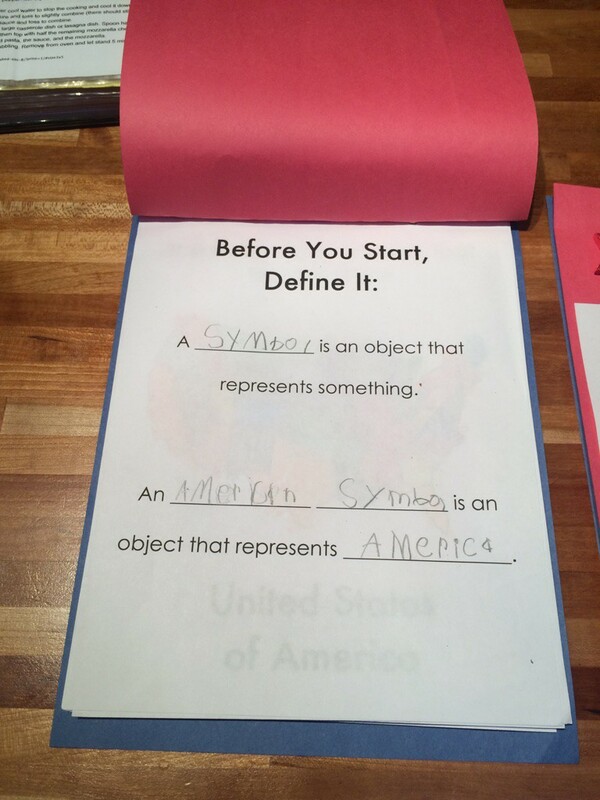 We started out defining what a symbol means as well as the definition of American Symbol. 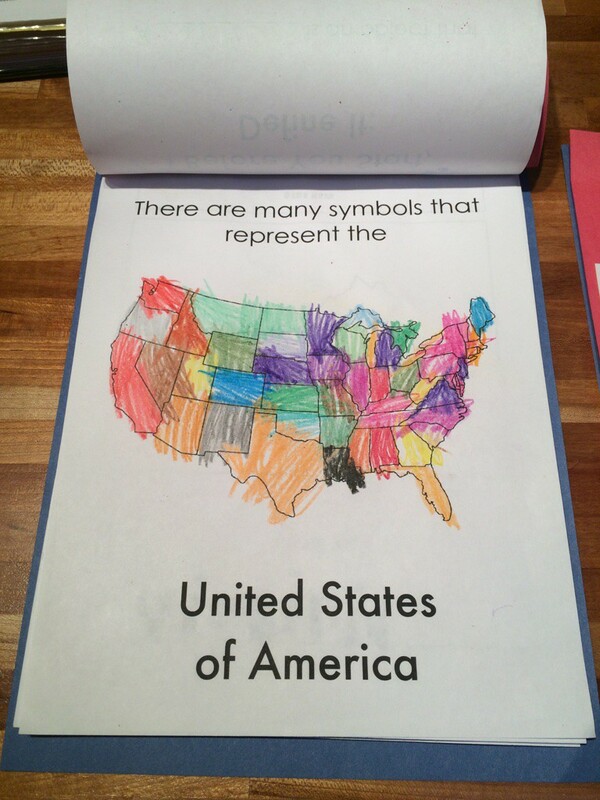 Then each of them colored a picture of the United States of America. 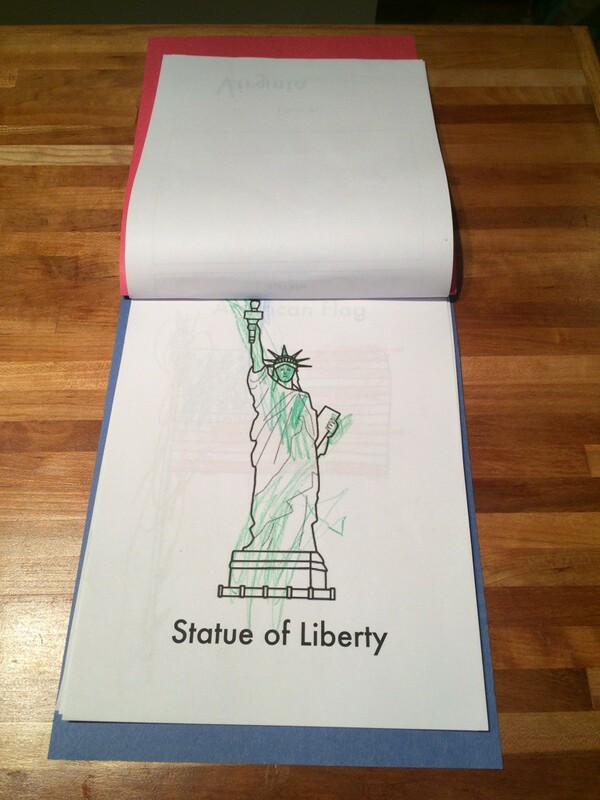 I helped Timmy colors his because he asked me to. 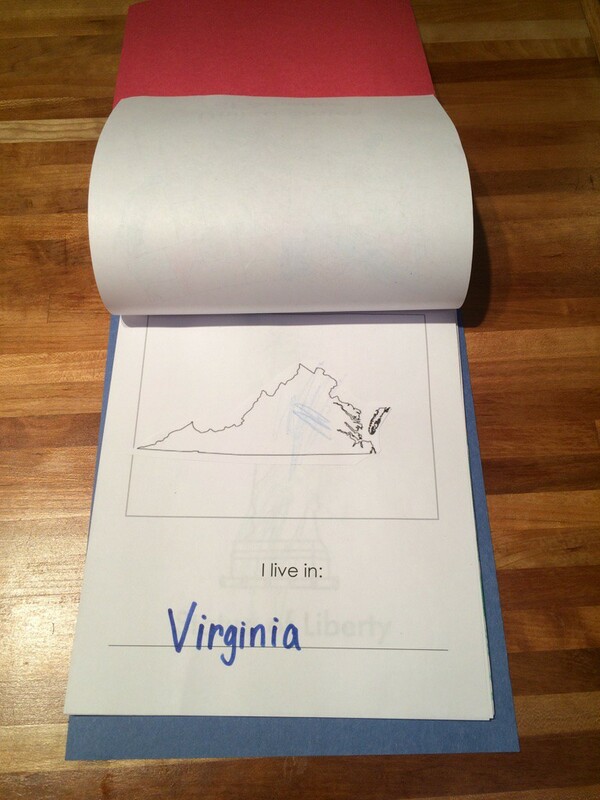 Then we talked about the state we live in within the United States and pasted it underneath our United States Map. 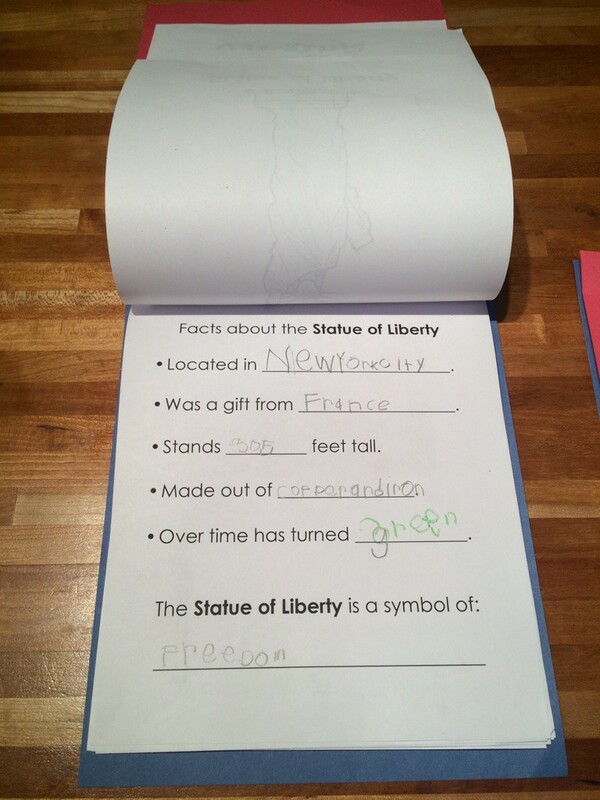 Sam has been asking a lot of questions about the Statue of Liberty lately. I don’t remember where he saw her picture first, but ever since noticing her, he’s been asking about her. 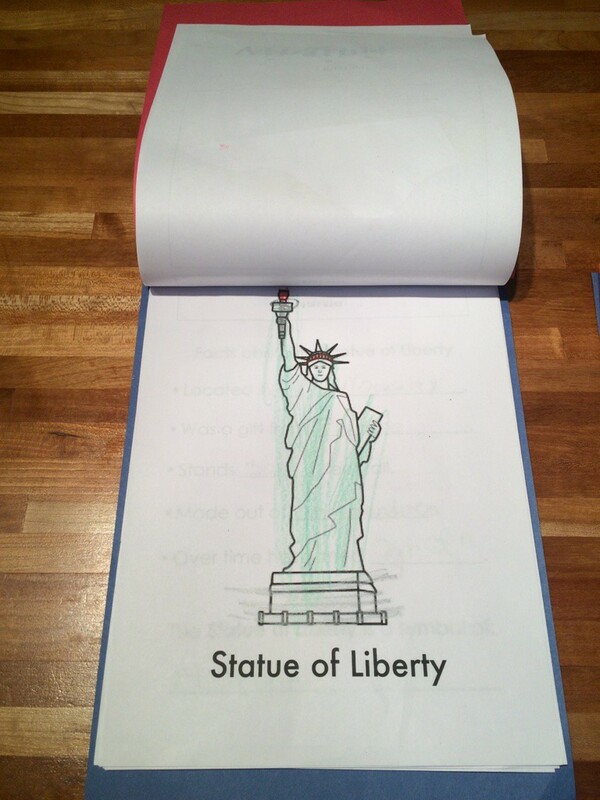 This has led to a fun discussion about New York City and our dream of going some day. We live close enough to be able to make a weekend of it sometime, but we need to save some money first. 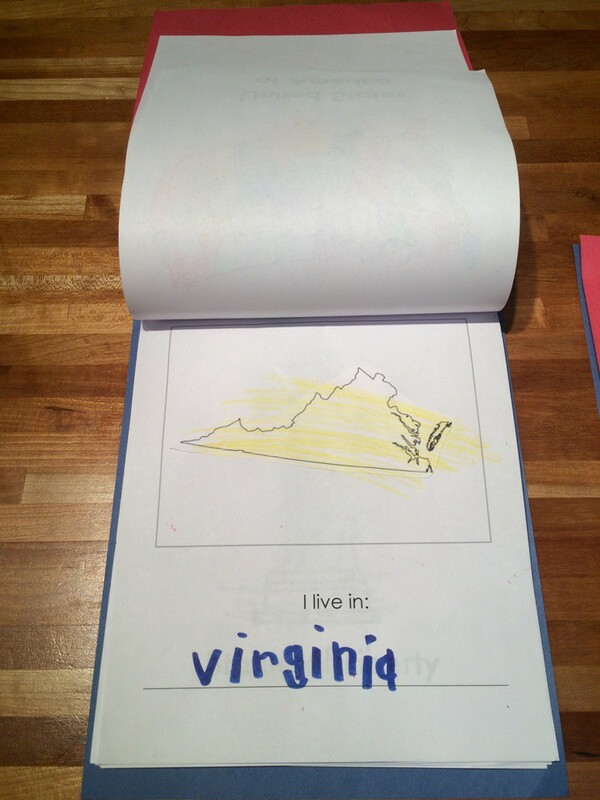 I look forward to visiting one day though! 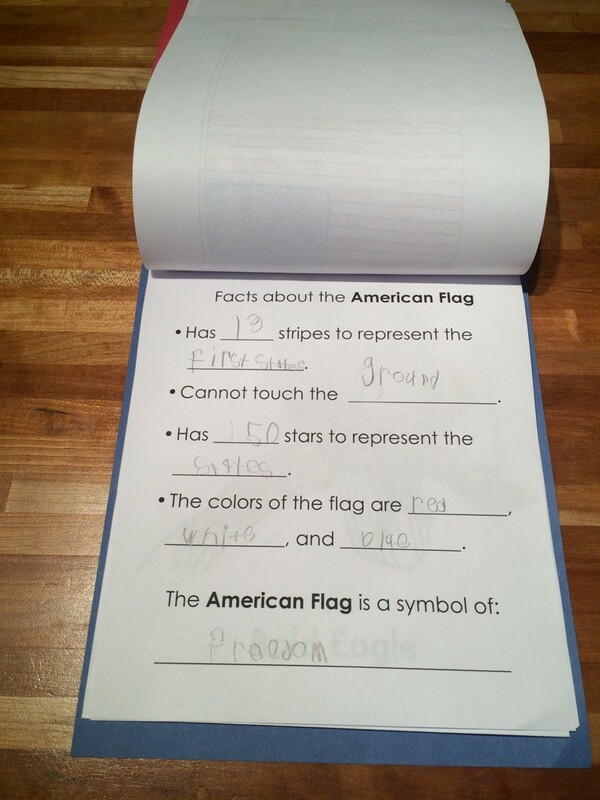 I think learning about the American Flag was most fascinating to them and quickly applicable for them. 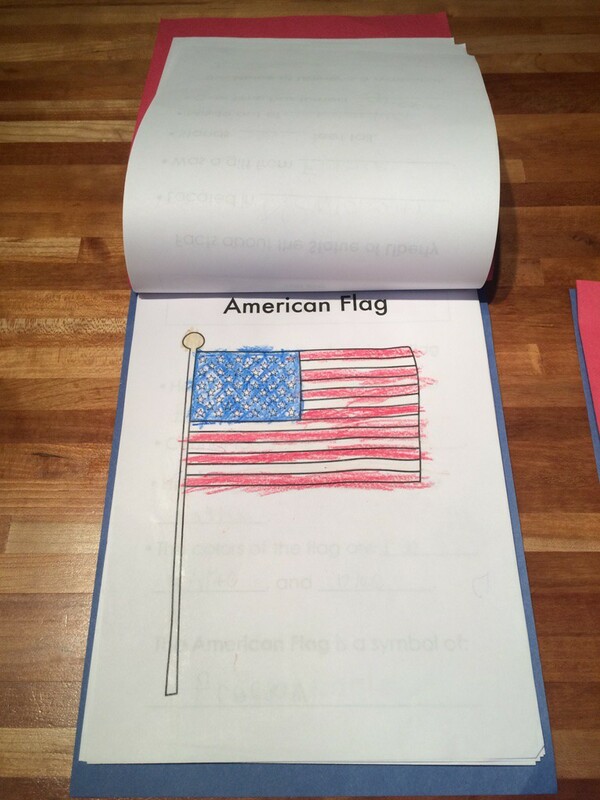 Both boys spot American Flags everywhere now, and it’s been especially fun to hear Timmy yelling, “FLAG!” from the back of the car when we’re riding down the road. 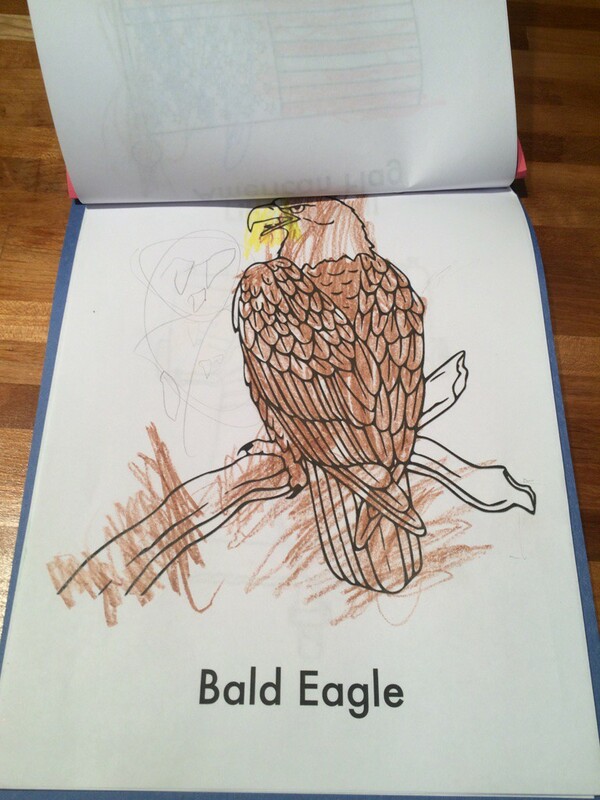 Timmy drew another Eagle on his piece of paper when I was helping Sam fill in his facts sheet one day. 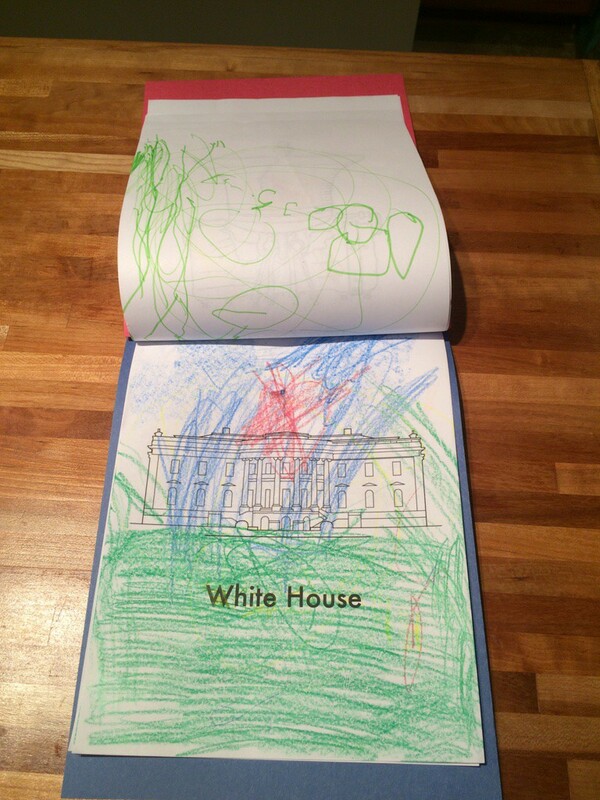 I was thoroughly impressed and he was thoroughly pleased with himself when I discovered what he had done! 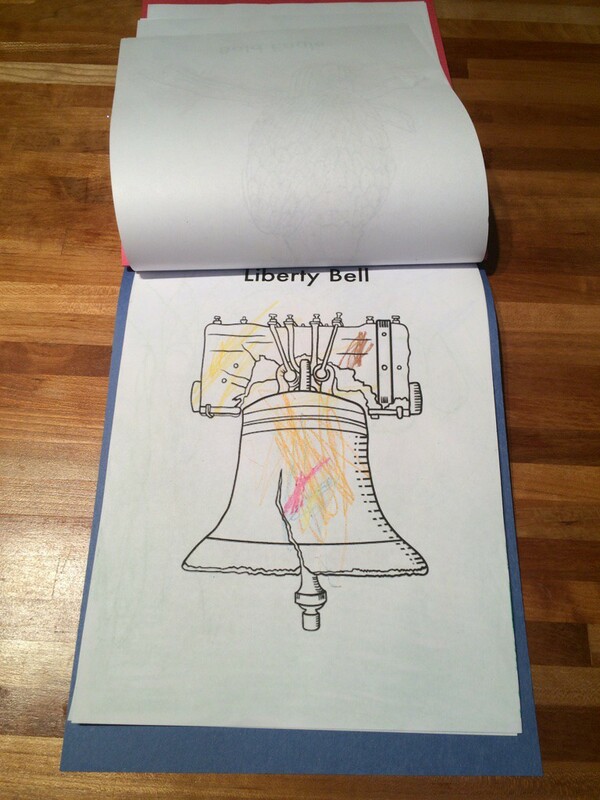 This was one of the symbols that I couldn’t find a single fact book on. So, we did some internet searching and learned what we could. 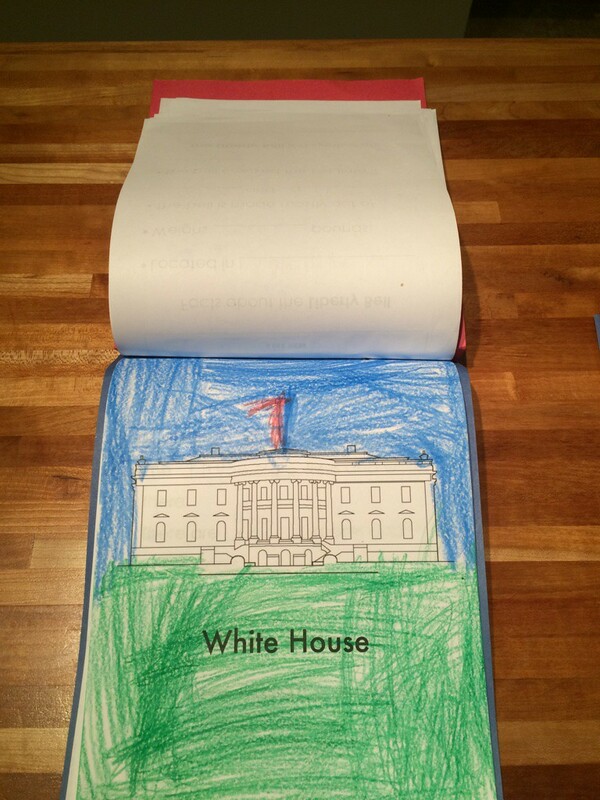 I hope to take the boys to see the White House soon. We live too close not to go! But first, we need to get little brother out into the world. This pregnant mama isn’t walking around D.C. right now. 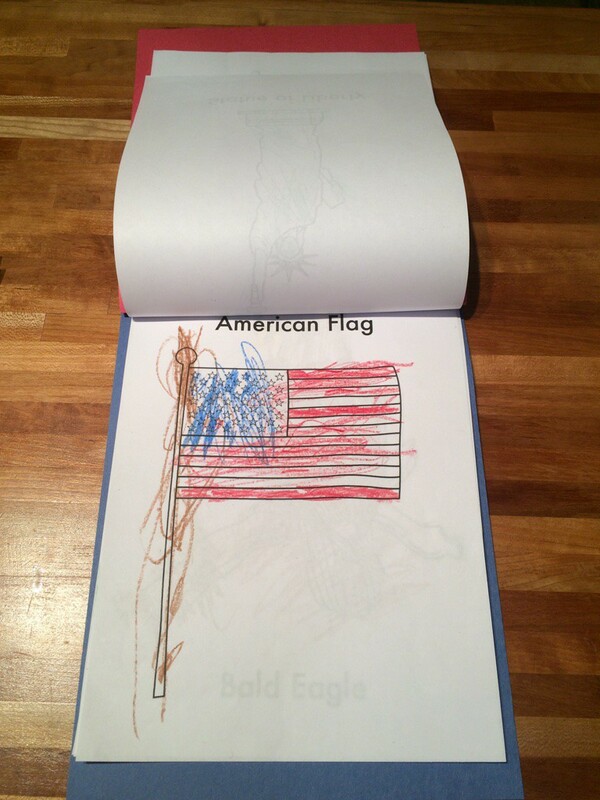 This was the last American Symbol that we did. 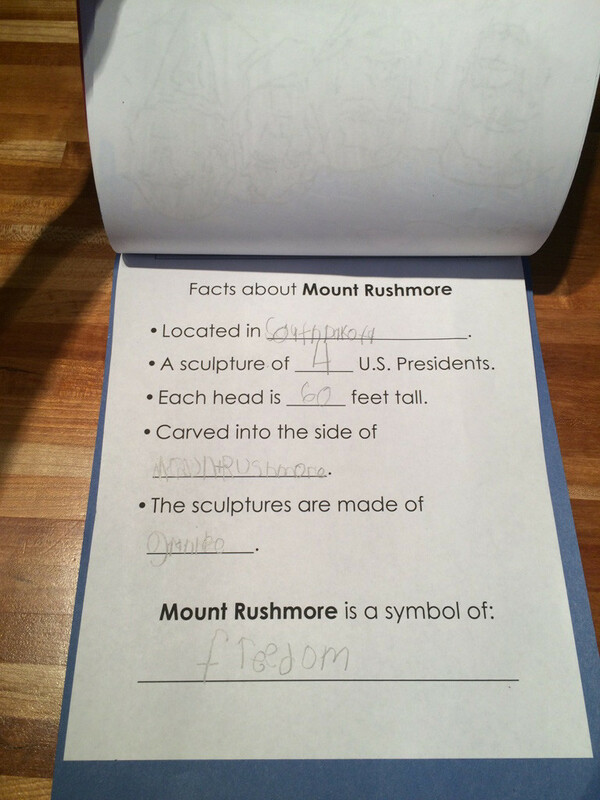 We talked about landmarks and we recalled our trip to South Dakota a couple of years ago. 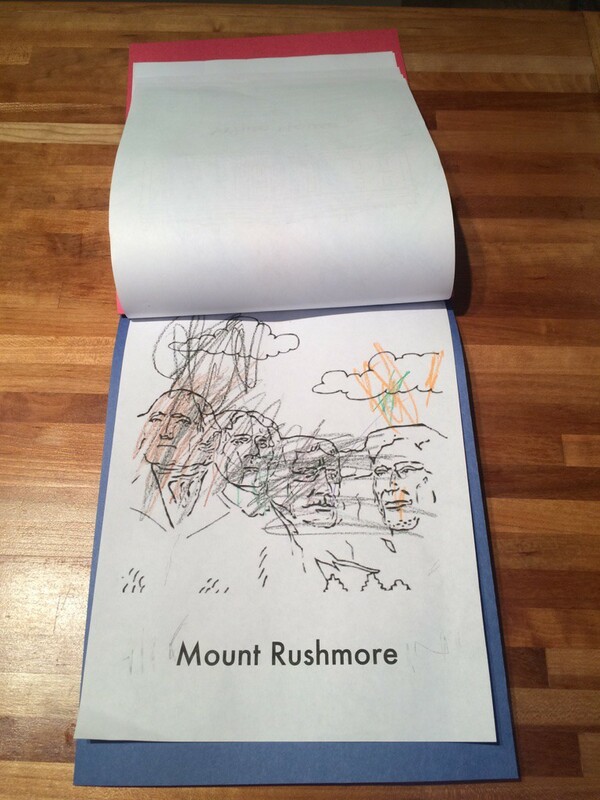 Mount Rushmore completely fascinates both boys. 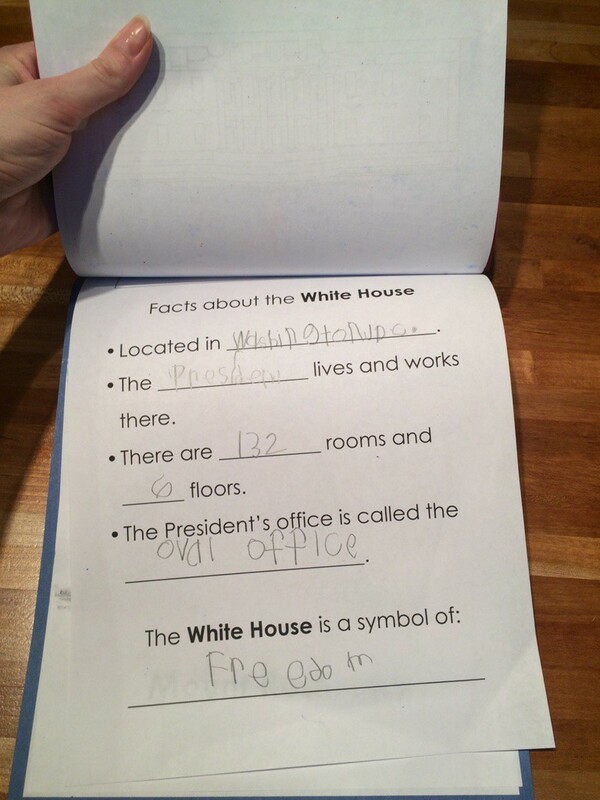 It also allowed us to talk about the Presidents. 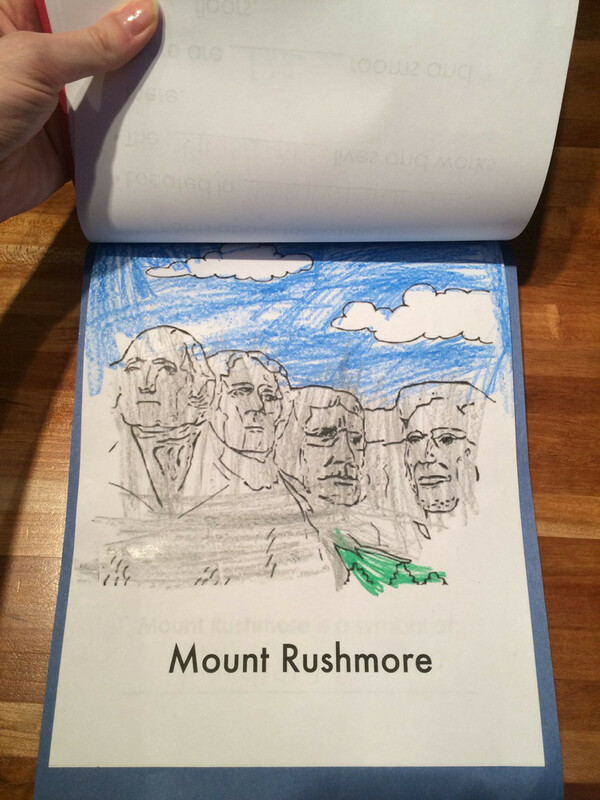 I had plans to do another series on the Presidents, but I didn’t want to exhaust the boys. So, I saved it all for next year. We had so much fun and learned so much together. 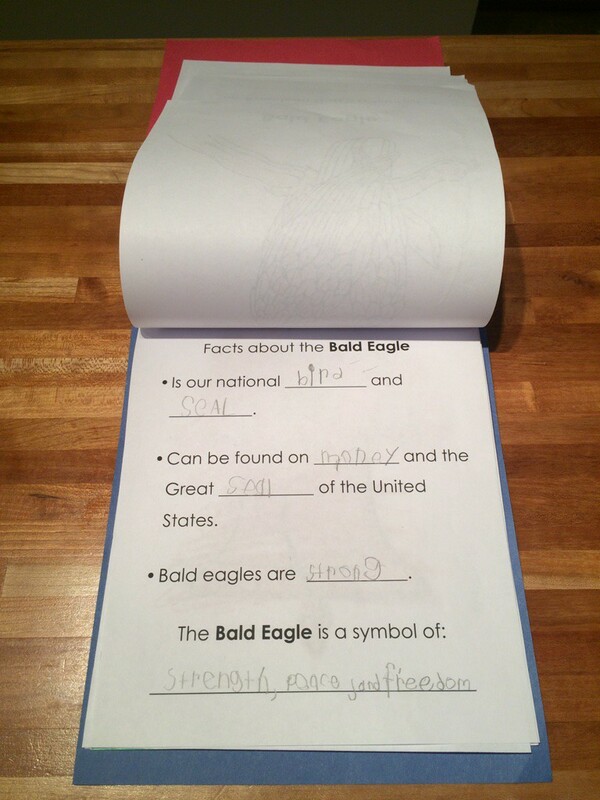 It was a fun discussion on symbolism and what America stands for. 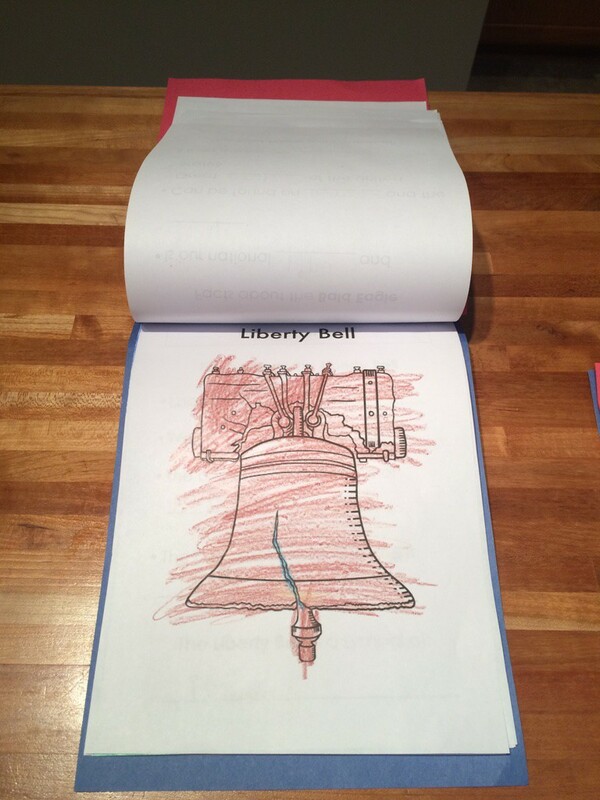 This entry was posted in Homeschool by duttonla. Bookmark the permalink.